Sarah Palin is against "Obamacare" and not very keen on Medicaid and Medicare either. Had she been a declared candidate and on the stage at the debate where some people cheered the "let him die" part of the question to Ron Paul, she would have remained as silent as the rest of the candidates in condemning that ugly display of selfishness. Solidarity, empathy and compassion are alien concepts to the GOP candidates, declared or not. State programs intended to help disabled and elderly Alaskans with daily life -- taking a bath, eating dinner, getting to the bathroom -- are so poorly managed, the state cannot assure the health and well-being of the people they are supposed to serve, a new federal review found. The situation is so bad the federal government has forbidden the state to sign up new people until the state makes necessary improvements. No other state in the nation is under such a moratorium, according to a spokeswoman for the federal Centers for Medicare & Medicaid Services. Doctors and other health care providers wrote to the Centers for Medicare & Medicaid with concerns that the state wasn't responsive. Some alleged that the lack of state controls "has resulted in the death(s) of the active clients," the federal review said. While the people served are frail and suffer from chronic health issues, the state never investigated to determine if any failure in service contributed to the deaths, the federal review found. ...one way Mr. Obama wants to eliminate inefficiency and waste: He's asked Congress to create an Independent Medicare Advisory Council—an unelected, largely unaccountable group of experts charged with containing Medicare costs. In an interview with the New York Times in April, the president suggested that such a group, working outside of "normal political channels," should guide decisions regarding that "huge driver of cost . . . the chronically ill and those toward the end of their lives . . . ."
Given such statements, is it any wonder that many of the sick and elderly are concerned that the Democrats' proposals will ultimately lead to rationing of their health care by—dare I say it—death panels? 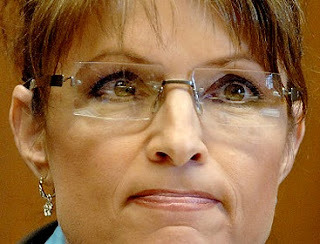 When 254 people died in Alaska, Sarah Palin was the accountable elected official and her own appointees were responsible for the coordination and running of services for the elderly and the needy. The state failed the people who depended on these services. 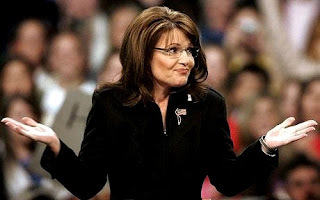 Sarah Palin's incompetence may have cost 254 people their lives or at the very least made the end of their lives painful, uncomfortable and undignified. People on Medicaid and Medicare cost the state too much.